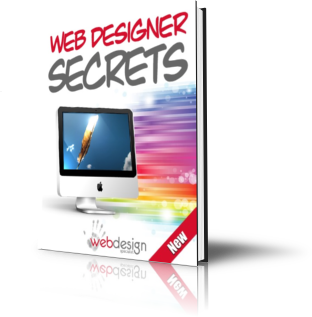 If you’re here then hopefully it’s because you read my free ebook “Web Designer Secrets”. If not you can download it by clicking on the book image to the right. This is done using what is called a Content Management System or CMS. In the long run it will save you a lot of money. And will also make your web designers life easier too as they can work on the bigger projects and functions of your site. So when you’re getting a web site built make sure you can update it yourself. There are dozens if not hundreds of CMS options out there. Getting the wrong one means you’re stuck with a complicated admin interface – which kind of defeats the purpose of having it. The problem is few CMS programs are built with the end user of a new website owner in mind ; more seem to be built with the web designer in mind. As such they contain a lot of features that are not required by the average user. Typically each web designer has their favourite CMS and tends to specialise in that one. I know I do. When choosing which CMS software I would use for my business web design projects my over-riding criteria was it had to be easy for a non-technical person to use. I looked to the various CMS systems and spend many hours investigating over a dozen of the main ones. Some were way too complicated – even for me. And few of them had much documentation to speak of. And I looked at them all – Joomla, Mambo, Drupla, ZOOP, and so on. I eventually found a CMS that was everything I wanted. Easy to use and easy for me to modify and update. It only had half the features of a monster application like MAMBO which was fine by me – it made it easier to teach people how to use it. And I have been using it for over 3 years now with no complaints or problems. I have built hundreds of sites using this CMS and nearly everyone has been able to pick up how to use it within a few weeks. For most business websites it makes sense to have an easy way to update your website. And it also makes sense that you should be able to do it yourself. That’s what a CMS system allows you to do and it’s what I offer all my small business website customers.